Toay’s Wallpaper Wednesday is a little bit different. The image you see above, is from the Supermarket Sarah site, featuring a ‘wall’ designed by duo All The Fruits, in collaboration with Metrocuadro Design. Essentially, the two have come together, bringing some of their featured designs, to create and style this selection. When you look at the image on the Supermarket Sarah website, you can hover over certain items, click through and buy. A fantastic concept for promoting up and coming designers. Sarah Bagner set up www.supermarketsarah.com in 2009, where she sells and displays all her items on walls. Users simply click and buy. Sarah’s “walls” have spread into public spaces too: bars, galleries, shopfronts and a pop-up store in Selfridges, London’s premier department store. 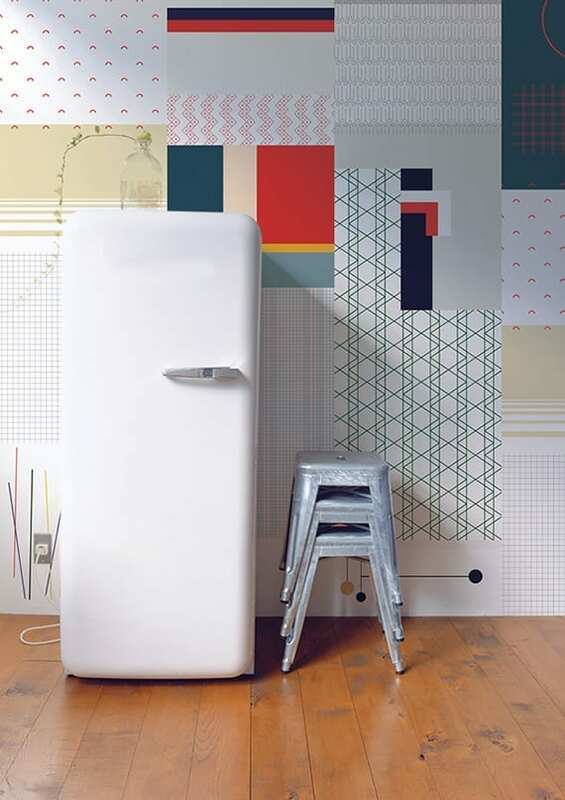 What initially caught my eye on this wall, were the fabulous Wallpaper designs from All The Fruits. This one, Cut and Paste in Blue, is like nothing I’ve seen before. 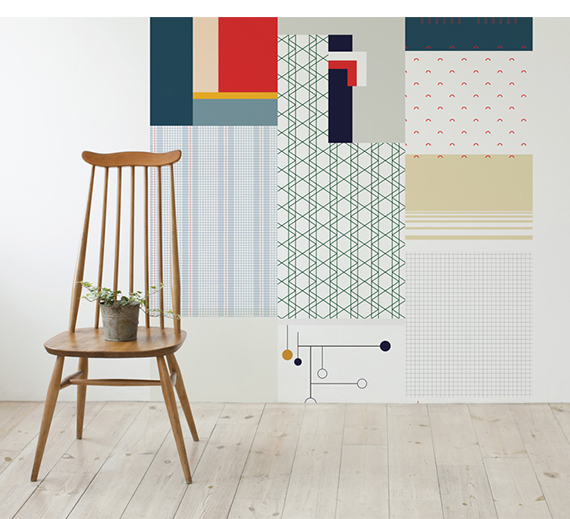 Unlike traditional wallpaper designs, where each sheet needs to be matched to the previous, Cut and Paste is designed with no matching required. The collection of colours and patterns has been carefully thought out so that pieces don’t need to be aligned at all. Just cut your piece to size and line up on the wall to the previous. You don’t even need to add any glue, as they come ready pasted. Genius idea! What do you think to this idea? Your thing or not? Well done on the diversity of your wallpaper choices! 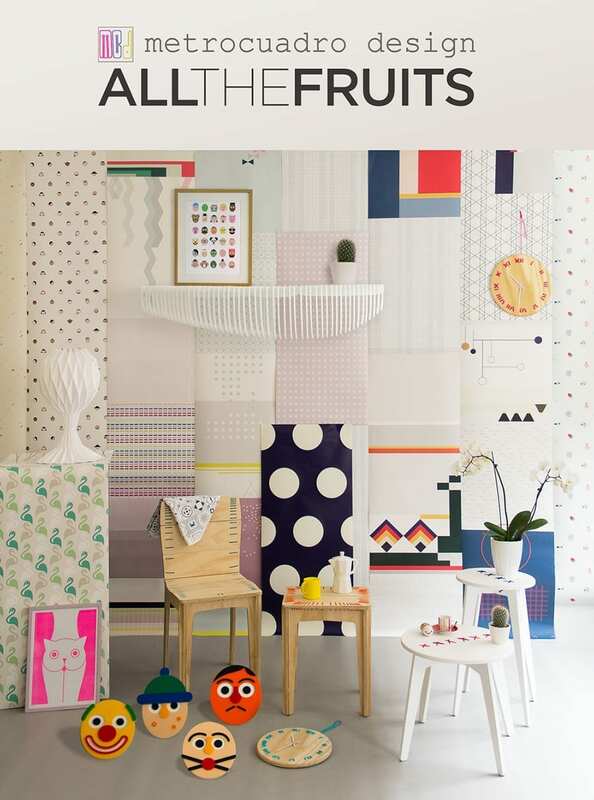 So many magazine and bloggers feature the same Graham & Brown, Cole and Son, Designer Guild etc. I am particularly interested in the post on Sarah Bagners wallpaper designs, whilst I was at University, I developed a style that you could say was relative to Sarahs work, in becoming obsessed with what I thought was my super original Idea, I came across Kirath Gundhoo who was basically creating the same thing that I was but she had been doing it a while longer. So I continued to develop and change my thought processes to create my own style. I was particularly interested in your post because I genuinely believed Kirath was kind of ‘dominating’ this style of market and that she had developed it. In all my research, I didn’t come across Sarah Bagner, (and believe me I spent a LOT of time in that library). If she started in 2009 I am now wondering how long this trend goes back, and curious to research the development of this concept through designers! I have just launched my own geometrics collection and on of the designs (called Consecutive) is a tribute to this obsession I had with placement, grids, formulas and codes. Its available it ‘the scientist’ and ’50’s retro’. So happy I came across this post today.